Big Shot Class project #1 - drawer boxes! Here is one of the projects we'll be making next Saturday (Sept 5) for my Big Shot class, and I'm so happy it turned out great. 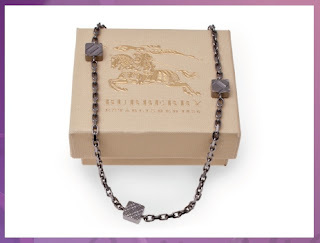 I had seen a box like this at Alicia's Razzle Dazzle Extravaganza in London and my brain just went BOOM! I WANT ONE! So I engineered it (look ma, no instructions! ), and hope you'll enjoy making it too. 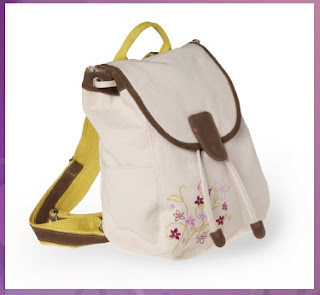 As you can see, the lid of the "dressers" lifts up -- a great place to stash candies! I used the "Simple Sentiment" from the Define Your Life set. I paired the Wide Oval and Modern Label punches together to create the centre piece. Now, if you don't recognize the Designer Series paper we used for the wood grain top, don't despair -- you aren't crazy. 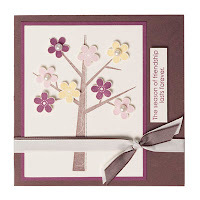 It's a brand new package called "Autumn Meadows" and it will be released on Tuesday with the new Holiday Mini Catalogue. And why is this in the Big Shot class, you might ask? 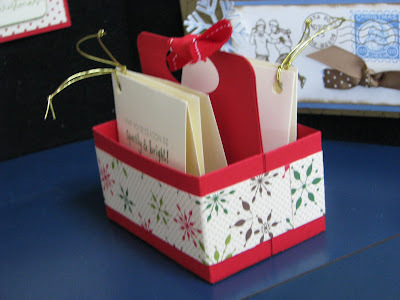 Well, because the 3 little boxes were whipped together using the Matchbox Bigz XL die! cool beans, eh? If you would like to make one of these, please RSVP to hold your spot for the 1pm or 4pm class next Saturday! P.S. By the way, a huge shoutout to Nicole -- congrats on the safe arrival of Gillian :0) Yipeee!!! Last night my friend Lillian came over to join in the "Chocolate Chit Chat", and while she was filling in the paperwork for the Mini Starter Kit promotion, we realized what a pain it was flipping through all the catty pages hunting for sets that were $38.95 or less. 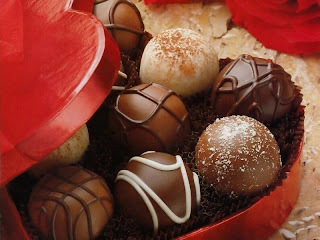 There's ANOTHER Chocolate Chit Chat today at 4pm, please let me know if you would like to stop on by! Be sure to RSVP you and your guests no later than 48 hours prior to the dates scheduled, so that I can have the correct amount of materials made up for the Make & Takes. Cost to attend is $5 per demonstrator and FREE for first-time guests! 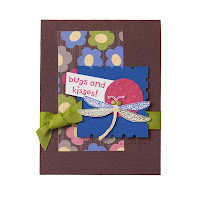 Each month I will have over $100 in current Stampin' Up! 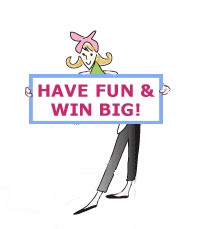 product ready to raffle off to you – great things to keep you stamping and growing, both in your hobby and your business. So, how do you earn raffle tix? Easy Peasy! Before I get started with sharing today's photos, I'd first like to extend a very warm welcome to the 3 latest stampers who joined my "Canadians, INK!" team yesterday: Kathy, Mary and Lisa. For everyone else, there are only 4 more days to snag the Starter Kits while on sale. Be sure to check out all the deets here and let me know if you have any questions. I'm going to focus on cards & projects that were made using the Big Shot ...man, I love that machine and don't know how I ever lived without it. 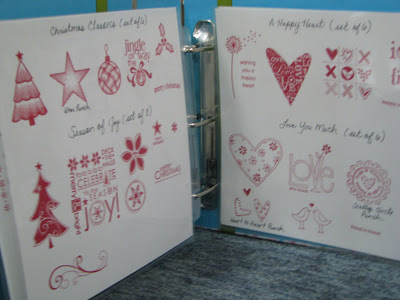 I'd resisted the whole idea of die-cutting for a ridiculous amount of time but when I converted, it was whole-heartedly. 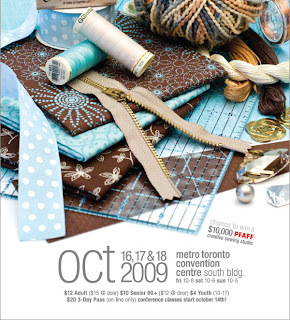 BTW: For those of you in the Toronto area, I'm offering a Big Shot class next Saturday September 5th. Spots are already filling up fast, so be sure to RSVP if you'd like to attend! 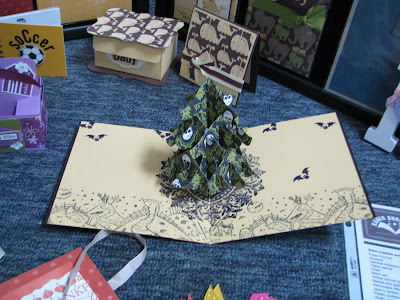 Remember how a few days ago I showed you the new Pop-Up Tree die, made into a Halloween tree? Here is it as a Christmas tree this time. I had a massive "A-HA!" moment when I saw these 2 little boxes stuck back-to-back. Brilliant! You know I now *need* this die as well, sheeeeeeesh. 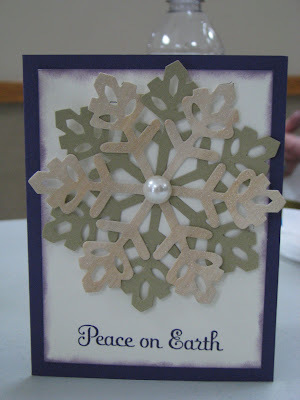 How stinkin' easy is it to put together a holiday card when you've got the Snowflake die to do all the work for you? 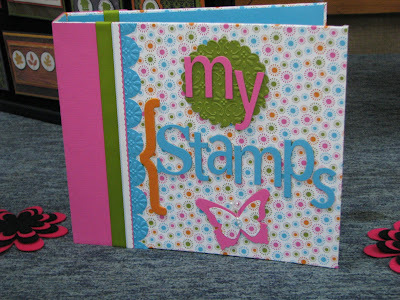 Okay, I fell in love with this "stamp bible"... you know, you stamp your images on sheets and keep them in a binder for handy reference? 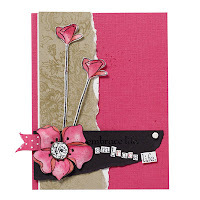 This stamper used the customizable chipboard album and dolled it all up. I think it's gorgeous! 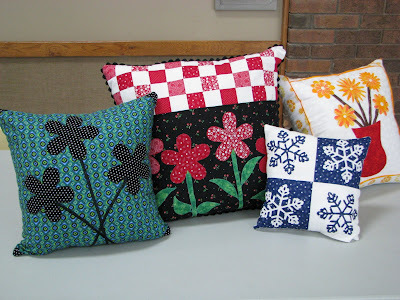 How about the cool cushions that super-stamper Alesha Walls made? I'm no sew-er, believe me, but even she had me convinced that I could take my hand to some fabric and use my dies to put together gorgeous projects. 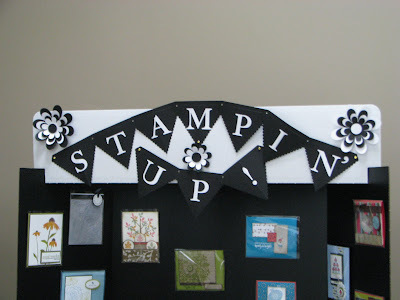 Last but not least, I loved how Corinne used the Pennant die and the alphabets to create this banner across the board! 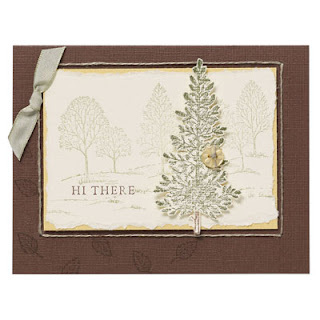 This first sample uses CORK with the BAB die... doesn't it look great? Yes, cork WILL go through the Big Shot machine when you are using a Bigz-style die -- please visit my Big Shot page to learn more about all the crazy materials it will take! 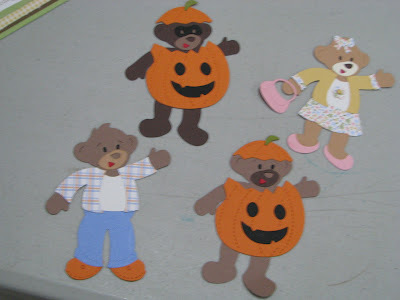 If you take a gander at my upcoming class schedule in September, you'll see we have 2 Build-A-Bear classes scheduled for Saturday Sept 12. These are going to be a BLAST, and I can't wait to share the cool stuff we'll be making. Come on by for a "Chocolate Chit Chat!" Now it's your chance to come and have your questions about Stampin' Up! answered, to learn more about the business opportunity or Starter Kits and, what the heck, eat some yummy chocolate treats with me! Yes, it's time for a "Chocolate Chit Chat"! If you would like to attend, please RSVP for either 1pm or 7pm on Friday, or 4pm on Saturday. Hope to see you! 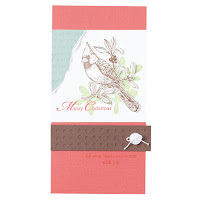 Today I'm going to share with you some SNEAK PEEK items from the upcoming Holiday Mini catalogue. These are all samples from the London event I went to on Saturday, and I went snap-happy and took OODLES of pictures! 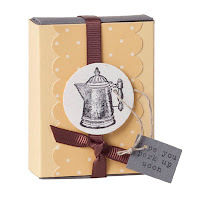 These cute little cups are self-adhesive, and fit perfectly inside the punched-out circle areas to create fabulous little favours or cards. Whether you fill them with beads or confetti, jelly beans or M&Ms, or even shredded coconut for a "snow" effect, the possibilities can be endless! 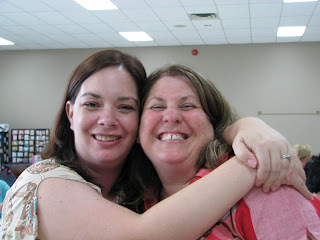 I had myself a fabulous blast this past Saturday in London, ON -- surrounded by fellow demonstrators and stamping fun, who wouldn't? Here are the 3 "Canadians, INK!" 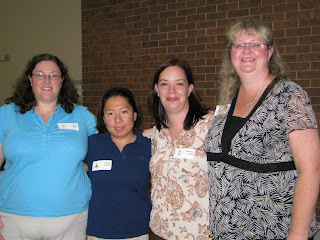 gals who were there as well: (L to R: Blair, Nancy, me, Debbie). I'm so glad they all came and benefited from an amazing day together. There were some mighty talented chicks who shared their ideas, great demonstrations as well as display boards & card swaps so that my head is SPINNING with great new plans for all of you... my classes will be chock'full of them! 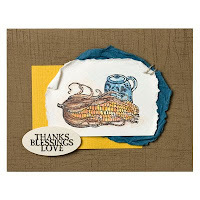 Check out this fabulous Halloween Tree card using the new upcoming Stampin’ Up! 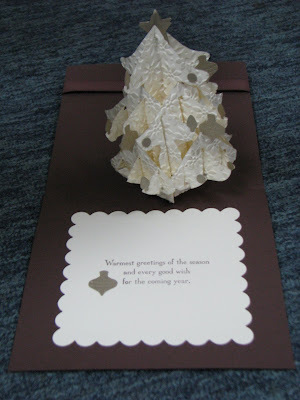 O Christmas Tree Pop-Up Bigz Die(by Karen Burniston) -- yes, it FOLDS! It's in the new Holiday Mini that comes out on September 1, can't wait to share it with you! I'll be featuring many more great projects that I saw and learned about all week long, so please stay tuned for more. If you think YOU'D like to participate in great events like this, learn more about joining my merry band of demos!